Gov. 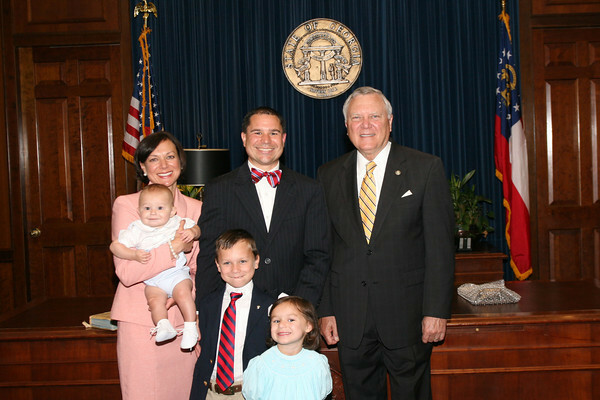 Nathan Deal today announced the appointment of Jason B. Thompson as State Court judge of Fayette County. Thompson will fill the vacancy created by the appointment of the Hon. Carla Wong McMillian to the Georgia Court of Appeal. The appointment will take effect upon swearing in. Thompson currently serves as Magistrate Court Judge of Fayette County and maintains a private law practice, Jason B. Thompson, P.C. He earned his bachelor’s degree from Maryville College and his law degree from the Cumberland School of Law at Samford University. He and his wife, Alisha, have three children and live in Fayetteville. Jason B. Thompson has proven experience in the court room and has a strong record of professional service, which would be a strong asset to the Magistrate Court system. Jason B. Thompson has a remarkable record of service and responsibility that embodies his unwavering commitment to our community.